Everyone eats, and that’s why food matters. A growing global population and increasing food needs make the sustainable production of food all the more important. NC State features industry-leading research and highly-respected academic programs related to agriculture. These programs have a direct impact on North Carolina, where agriculture is the state’s largest industry. is the average annual percentage of local food purchased by NC State Dining. This includes 4,000+ pounds of campus-grown produce. NC State Dining features award-winning sustainability programs focused on sourcing local food, water conservation, composting, recycling cooking oil and several other waste reduction initiatives. There's also a weekly student-led Campus Farmers' Market on the Brickyard. Pollinators such as bees are vital to food supply, making their health paramount to sustainable food systems. Browse the campus sustainability map to see NC State’s actively-maintained bee hives or explore the university’s apiculture program. There’s food no more local than food you grow yourself. 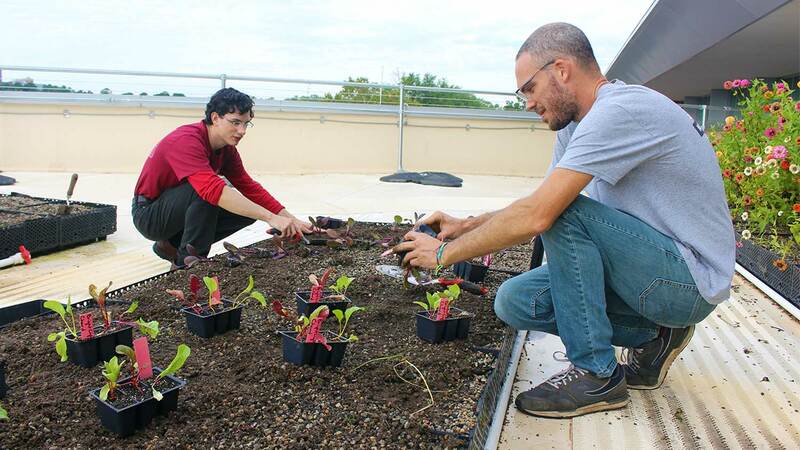 Several community garden projects exist on campus, including the student-run SOUL Garden, Agroecology Education Farm, herb gardens and several garden ideas in development. An interdisciplinary group of staff, faculty and students are working to improve student food and housing security on campus. 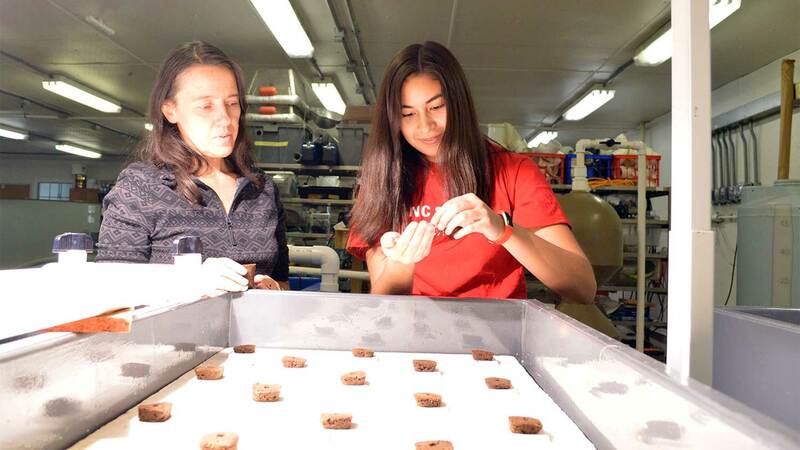 University-based research includes Plants for Human Health Institute, Center for Environmental Farming Systems and the North Carolina Agricultural Research Service. 1. Eat local food to support local farmers and reduce environmental impacts of food shipment. 2. Minimize food waste. An estimated 40% of the U.S. food supply is wasted annually. 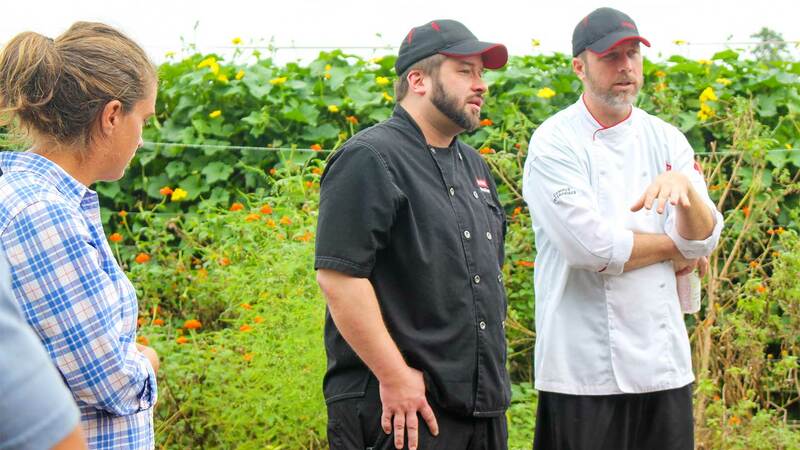 Go behind the scenes with this NC State student organization, which educates about aquaponics. NC State's Agroecology Education Farm grows produce for campus dining facilities while also teaching sustainable agriculture. 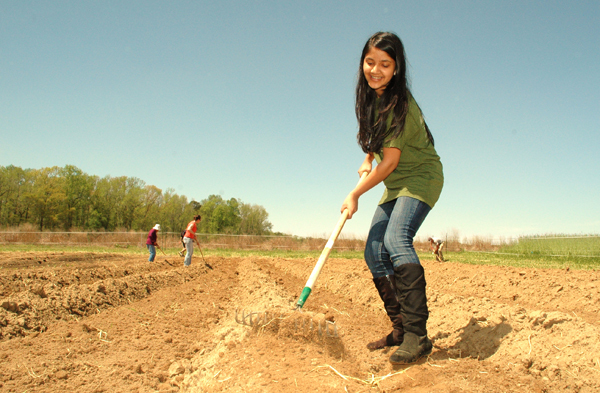 NC State’s Cooperative Extension offers the following resources related to agriculture and food. College of Agriculture and Life Sciences’ students have many student groups related to food.